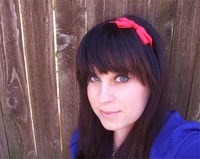 Welcome to our stop on The Warrior blog tour hosted by YA Bound Book Tours! 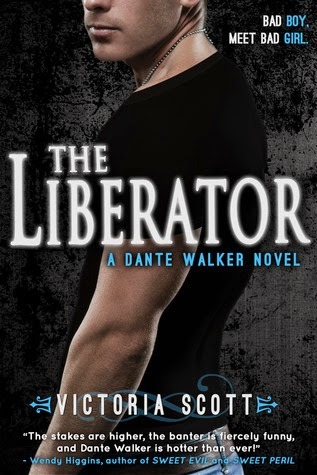 Who doesn't like Dante Walker and now it is time to say farewell to this YA favorite hero. For our stop we have our review and there's a tour-wide giveaway. Have a great day! When a reader loves a character, it's hard to say goodbye when their series ends. As a fan, Dante Walker took us on some journey. From demonic 'collector' in The Collector where we were first introduced to the rapid-fire snark of this 'bad-boy' with a keen fashion sense and good looks, to the change in job situation and outlook on the afterlife in The Liberator, Dante has always been a strong, conflicted, yet admirable seventeen year old. The Warrior concludes his trilogy and his unforgettable story. I've always enjoyed the vast array of characters Victoria Scott creates in her worlds. Charlie Cooper, the young girl with a stoic heart who teaches Dante what the true meaning of love means, to Annabelle, a best friend extraordinaire, to Blue, Aspen, Max, Kraven and more, each claims a space in reader's hearts and minds. 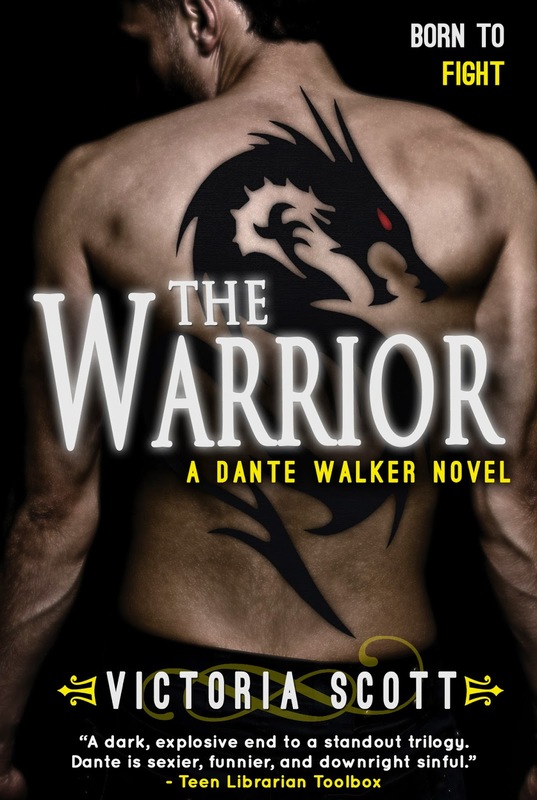 The Warrior showcases so many of my favorite characters as Dante learns how to join forces to prepare for the forthcoming war between heaven and hell. He has to live in The Hive under Kraven's watchful eye, train, and unravel the messages hidden in the scrolls while protecting those he cares for. There's a lot of training going on, both physically and mentally in The Warrior, as well as working on strategies while trying to figure out who among the group of liberators and humans is a traitor. Dante undergoes the largest transformation in this third book. From his selfish ways, he now has someone else to take care of with Charlie, as he also realizes the people surrounding him have become his family. There's action, battles, romance, more of Dante's lewd commentary, and plenty of interactions with an interesting cast of characters. We really spend a lot of time in Dante's head as he matures, learns what "having faith" really means, deals with his trust issues, and becomes a true warrior. There's A LOT going on in The Warrior. Dante gets involved in practically every situation from what happened to Aspen to protecting the humans working in The Hive to solving the mysteries of the scroll with Oswald and more. I wondered when he could rest and take a shower. The storyline was very busy and kind of like Dante himself--spread too thin. The pacing seemed slower for a book with so much going on. I will admit there were times I tired of Dante and Charlie's kissing (they've been together since book one), and occasionally his comments about love made my eyes roll, but then he would redeem himself by surprising me with a tender moment or touching realization about something (especially his friendships with Aspen, Annabelle, Max and Blue). I enjoyed how Charlie reversed the stereotypical role of the guy saving the girl when she told Dante it was her time to take care of him. Fans of the series knew the end was coming. Action, drama, snark, and love, The Warrior has it all. Goodbye Dante, we will miss you! Fits in perfectly with the other two covers.